©2010 Merri Lisa Johnson (P)2014 Audible, Inc. 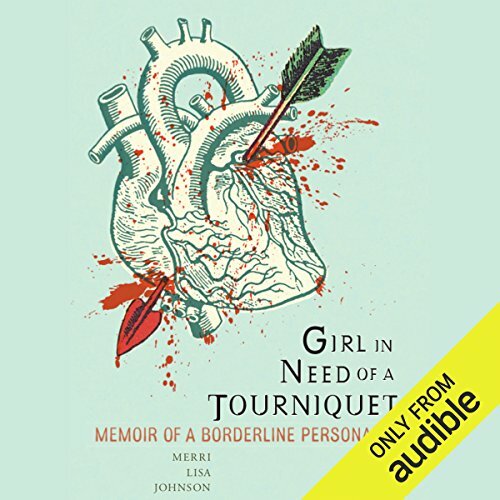 In witty, sardonic, heart-piercing language and brutal honesty, Merri Lisa Johnson both represents and deconstructs "borderline personality disorder". She talks back to clinical definitions, challenges pathologizing language, and reveals the humanity, suffering, and hope behind one of the most stigmatized diagnoses. A crucial read for anyone interested in BPD, but prepare to let go of your preconceptions. You might be left with more questions than answers, and I think that's a good thing. I thought this book was like reading my own diary. I could relate immediately to the writers own story. So much helpful information and knowledge. I just finished and plan to listen again and take notes on my own thoughts and reactions to similar situations that have happened in my own life. The content of the book in and of itself is amazing. I enjoyed the combination of psychological research with the author's personal experiences. Since this was an audiobook there were times in which I was confused as to what was going on because the author goes back-and-forth between research and what sounds like poetry and then personal essay. I have a feeling it is easier to follow along with when reading the actual book. This did not detract from the overall experience too terribly much. At times the reader sounded like she was trying a little too hard to perform the book, but again not enough so to ruin the experience much. It was a bit hard to follow. I enjoyed pretty much every aspect of it, though over half of it is her quoting other authors, musicians, or professionals in the psychology field. It's nice as someone who can't really relate to hear a story like this from the point of view of someone going through it. It helps me to understand what type of things may be going on inside of the mind of someone with BPD, when I otherwise would have had no idea- which was kind of the entire reason I chose this book. I didn't care for this book from three beginning. my therapist recommended it due to my recent attempt, it only made me want to try again. I am a professor of psychology and thought this would be informative and interesting, but I must be honest to say that I did not understand what was going on. I am not a clinician, but I do teach about personality and attachment. This was a stream of consciousness with little grounding in time or space. I guess that may been what the author was getting at, she does have a psychiatric disorder, but after an hour of listening, I realized I wasn't going to learn anything and was not going to be entertained. I gave up. Wish I could return it. If you want to read a good memoir of a person who is grappling with a mental health disorder, read Andrew Solomon's "The Noonday Demon." He is knowledgeable, a terrific writer, and gives a very compelling account of how depression affects all aspects of a person's life, but also the gifts one receives as a result of this struggle. The reader ends up admiring Solomon, liking him, and wanting to learn more about his life.